In this guest blog, originally published in this summer’s edition of the Landscape Journal, Maisie Rowe explains how a recent exhibition highlights how much our attitudes to play have changed – and largely not for the better. Hardly any other modern concept had a more far-reaching and enduring influence than the Skrammellegeplads’, says Gabriela Burkhalter. She is talking about the ‘junk playgrounds’, which were conceived in Denmark by the landscape architect Theodor Sorensen in the 1940s. 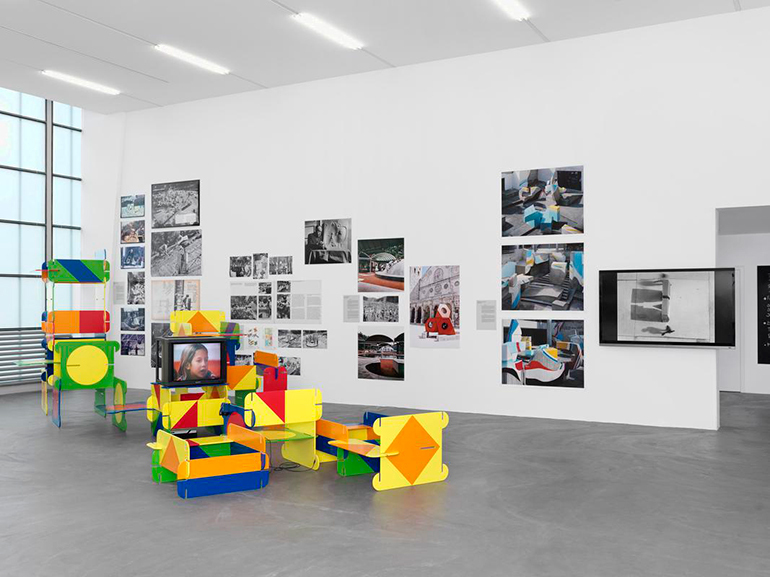 Burkhalter is curator of an excellent recent exhibition, The Playground Project, held at the Kunsthalle, Zurich, which reviews a hundred years of playground design through pictures, books and full-size play installations. Her exhibition contained much to inspire the landscape architect, not least by reminding us what design looked like when it was rooted in theories of human development and the belief that play is a right of the child. Freidrich Froebel, inventor of the kindergarten, wrote: ‘Play is the highest expression of human development in childhood, for it alone is the free expression of what is in a child’s soul.’ Froebel, Jean Piaget and Maria Montessori were just some of the key figures in a discourse that, by recognising childhood as central to human experience, would put children at the heart of the twentieth-century social project. The design of playgrounds took on artistic and social importance: ‘If childhood is a journey, let us see to it the child does not travel by night’, said Aldo van Eyck, who designed around 730 play- grounds for the city of Amsterdam. But despite being described as ‘The Century of the Child’, the twentieth century was not kind to children. Conflict and upheaval devastated childhoods and, while the enlightened pedagogues sought to nurture the innate creativity and spirit of each child, cities blindly privileged the motorcar over the child and sacrificed open space to bricks and concrete. So playground design was always going to be contentious. From early on, it was beset by a tension between mass delivery of practical municipal play facilities and provision that emphasised deep play and contact with nature. Some of the earliest playgrounds were severe, gymnasium- like spaces provided by reformers and philanthropists to engage slum urchins in purposeful activity, once they were liberated by reform from factory labour. By contrast, the progressive designer C. Th. Sørensen spent time watching how children, left to their own devices, played on waste ground, building dens and damming streams. An English landscape architect, Lady Allen of Hurtwood, chanced on Sørensen’s project while on a British Council lecture tour through occupied Europe. Lady Allen came from the class of eccentric, posh-but-penniless bohemians. Enamoured of nature, she spotted that these gloriously chaotic environments – with their dens, ropes, bonfires, gardens and animals – offered urban children freedom, self-expression and an outdoor life. She wrote: ‘In a flash of understanding I realised that I was looking at something quite new and full of possibilities… There was a wealth of waste material… and no man-made fixtures. The children could dig, build houses, experiment with sand, water or fire, and play games of adventure and make-believe.’ Adopting a rallying-cry of ‘Better a broken arm than a broken spirit!’ she reinvented Sørensen’s Skrammellegeplads as ‘adventure playgrounds’. Continental adventure playgrounds are relatively orderly affairs. Small groups of children work assigned plots of land; at Kolle 37 playground in Berlin, children to this day are given 20 nails per session to work with, which they use, re-use or barter. Britain’s adventure playgrounds developed a more anarchic and squalid character – photographs of Clydesdale Road Adventure Playground in the 1950s show children revelling in daubed paint and old sofas – while our playwork practice evolved into a highly-skilled (but under-valued) profession. Sørensen was aware of this contradiction: ‘Of all the things I have helped to realise, the Junk Playground is the ugliest; yet for me it is the best and most beautiful of my works’. It is curious that this most significant of contributions to landscape architecture should be a sort of anti-design; produced by child-builders with the minimum of involvement by the professionalised adult designer, without aesthetic consideration. While it is difficult to escape the sense that playground design today has become formulaic, the Playground Project exhibition reminds us that it need be anything but that by describing a wealth of innovative sculptural forms, derived from an array of design practices. The play sculptures of Josef Schagerl and Egon Møller-Nielsen ‘combined the autonomy-based language of modern sculpture with the goals of play and functionality’, according to Burkhalter. Their underlying anti-elitism aimed to encourage public acceptance of abstract art. In America, Joseph Brown, who was a boxer, sculptor and teacher of architecture, experimented with kinetic works like Jiggle Rail and Swing Ring, while Paul Friedberg and Richard Dattner made the playground itself into an abstract sculptural composition. Their landforms invited children to hide, clamber and interact, but designed out parental hovering. In Italy and France, the radical spirit of ’68 informed the experimental practices of Riccardo Dalisi, Palle Nielsen and Group Ludic, whose spaces were tools of political engagement and subversion. And the architect Aldo van Eyck earned himself a special place in playground design heaven by inserting more than 700 playgrounds into the fabric of the city of Amsterdam between 1947 and 1978, combining playground design with a form of place-making. And so to the present day, where we face growing evidence that children are spending less and less time playing outdoors. The phenomenon is variously ascribed to parental fears, stranger danger, perilous roads, over-structured leisure time and electronic games; the costs are commonly named as childhood obesity, poor mental health, disconnection from nature and the breakdown of community. 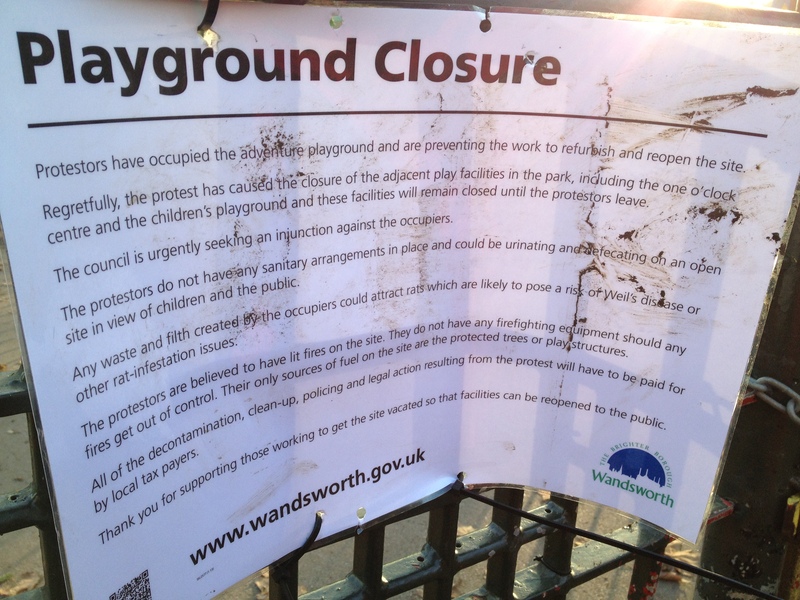 While the true nature and effects of this crisis – if indeed such a crisis exists – are up for debate, negativity surrounding the question of children’s play is leading to a reconsideration of what constitutes a playground. ‘(a)…proliferation of adult-controlled monetised play experiences’. One expression of this is the proliferation of adult-controlled monetised play experiences. At Westfield, London, Kidzania brings children indoors to try out an array of professions, at a cost of £29.50 per child. The experience is claimed to ‘teach kids essential life skills including financial literacy, team work and independence.’ With 28 UK sites, Go Ape, (£18 per child), enables harnessed visitors to navigate a fixed circuit of high ropes, zip-wires and walkways, suspended from trees. These are terrifically fun days out, but what they offer is not true play, defined in the British playwork tradition as ‘freely chosen, self-directed and intrinsically motivated’. At Go Ape, the activity is neither freely chosen nor self-directed. You cannot choose the sequence in which you use the equipment, nor are you free to go back and do something again (and again). At Kidzania, which conceives childhood merely as preparation for adulthood and rewards the acquisition of specific skills, the activity is not intrinsically motivated. How do you provide the maximum of space for imaginative play in a constricted space? Architect Asif Khan has tackled this problem at Chisenhale Primary School in east London (his children’s school) by designing an elevated structure which effectively creates more space. Access via a rope or a rope trellis, the space not only offers access to exciting slides, but areas designed for quiet and contem-plation. The structure is clad in heat-treated tulipwood, an abundant American hardwood that combines the sensuality of timber with a smooth surface devoid of splinters and great durability. Some of the most radical thinking about children in the built environment is coming close to eliminating the playground all together. A cross-disciplinary team, led by Dinah Bornat of ZCD Architects, is using people-counting methodologies developed by Jan Gehl to gather evidence of the extent to which housing design fosters or discourages free outdoor play. We should question our practice. We should make cities playable. But let’s not give up entirely on that playful, sculptural, experimental landscape that is experienced with both body and imagination known as the playground. The design of playgrounds still has plenty to say about the design and experience of all landscape. Maria Nordström reviews a book that describes how a policy initiative in England, which elevated the importance of planning and investment in children’s play, became a pawn in a game of high politics. In London, in 2004, Adrian Voce, the author of this engaging new book, was at the forefront of a play policy initiative that was perhaps unique anywhere in the world. It was then that the first elected Mayor of London (2004) published the London Plan, the spatial and economic development strategy for one of the world’s greatest cities. Thanks largely to Voce and his colleagues at the small, regional NGO, London Play, this important, high-level strategy included a policy to protect and develop space for children’s play: a commitment that was then underpinned by the production of guidance (Mayor of London, 2005) to London’s 33 local borough councils on how they should develop local play strategies to implement the policy. There followed supplementary planning guidance (Mayor of London, 2008) on minimum space standards – qualitative and quantitative – for children’s play space. This ground-breaking development in London led, indirectly, two years later, to the adoption of the Mayor’s approach by England’s largest non-governmental funding body, the Big Lottery Fund (2006) for its £155m Children’s Play Initiative, which saw each of England’s local authorities develop area wide play strategies as the basis for allocated lottery funding. It was no coincidence that, by this time, Voce was director of the influential Children’s Play Council, which became the lottery programme’s delivery partner – establishing the new national body, Play England in the process. Suddenly, children’s play, playgrounds and play space were on the agenda like never before. Crucially, the importance of proper strategic planning for play was being recognised by policymakers for the first time, and it was not long before the national government got in on the act. The UK government’s £235m Play Strategy (DCMS, 2008), with Play England contracted to support its delivery, was intended to last for ten years, aiming to make England ‘the best place in the world to grow up’. But it was not to be. Consequent to the major economic crisis of 2007-2008, and the change of government in 2010, the strategy was cancelled – but not before the unprecedented sum of £360m had been spent on public play provision. Britain has long had its strong personalities committed to children’s right to a child-friendly city, and especially to their right to play. Adrian Voce joins Colin Ward, Roger Hart, Tim Gill and several other influential writers and thinkers who have made Britain a beacon for play advocates everywhere. The most famous of these, Roger Hart, the eminent children’s geographer now living in the United States, has written a fine foreword to this book. Voce…paints a vivid picture of how strong an influence can be wielded by dedicated practitioners – in this case playworkers – when committed to affecting change. Voce shows how the play policy venture became a pawn in a highly political game, but he also paints a vivid picture of how strong an influence can be wielded by dedicated practitioners – in this case playworkers – when committed to affecting change. These ‘advocates for play’ are an English phenomenon, with no direct equivalent in Sweden. Perhaps the closest comparison is with people working in, for example, park games, whose task it is to encourage and support children’s play without controlling or organising it according to predetermined programmes or ‘outcomes’. The emergence of playworkers, of whom Voce himself was one, arose from those who staffed traditional adventure playgrounds in England from the 1950s and 60s onwards, and it is to such places that he suggests one should look to discover the essence of a good play space. Adventure playgrounds simply allow children space to explore, materials to mould and environments to transform, constantly evolving as integral components of their daily play lives, where something new will always emerge. Such places – or equivalent – and their qualities are essential components of good play provision according to Voce. His book challenges our notions of playgrounds as defined spaces, locked into a specific appearance and reliant on pre-existing designs and equipment. Instead, there is the suggestion that all space for children should simply be conceived as a place where they might play, and to afford them as many possibilities for it as possible. Voce and his practitioner colleagues have happily adopted the term ‘playwork’ to describe their role; it is important, he emphasises, that we understand that play and work are not opposing phenomena. Referring to a well-known quote from the great play scholar, Brian Sutton-Smith, Voce agrees that the opposite of play is depression. The English Play Strategy, and the longer-term play policy adventure that Voce relates so vividly, came to an abrupt end in 2010. Perhaps as a consolation to the reader – and himself – Voce mentions briefly the more enduring (so far), play policy of Wales – which has devolved powers for education, youth and, therefore, play. Here, there is now a legal requirement on all municipalities to account for and evaluate a ‘sufficiency’ of children’s local play opportunities: the first country in the world to enact such a measure, he says. Once upon a time, Sweden was unique, with our national standards for children’s playgrounds in newly built neighbourhoods. But that story is not written yet; not in English. Maria Nordström, Ph.D., Environmental Psychologist, is a visiting researcher at the Swedish University Of Agricultural Sciences. DCSF / DCMS (2008), The Play Strategy, London: Crown Copyright. Mayor of London (2004) The London Plan: the Spatial Development Strategy for London, London: Greater London Authority. Mayor of London (2008), Supplementary Planning Guidance: providing for children and young people’s play and informal recreation, London: Greater London Authority. This review has been translated from the original Swedish version, which first appeared in the print journal, STAD: debatt och reflexion om urbana landscape (CITY: debate and reflection on urban landscapes), Issue 12, March, 2016. 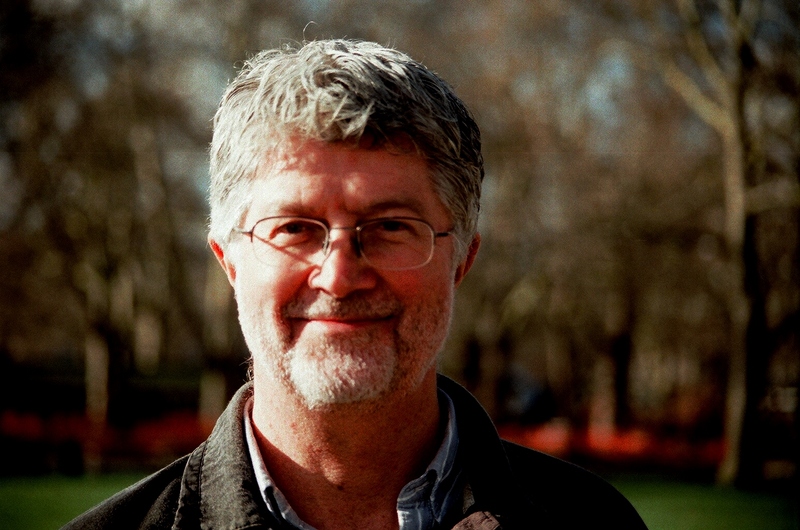 In this interview from the ‘Childcare Conversations’ series on First Discoverers, author of Policy for Play, Adrian Voce talks about why he found playwork so rewarding and why campaigning for children’s right to play is so important to him. Above all, writer Adrian Voce is a passionate advocate for children’s play, which his latest book ‘Policy for Play’ uncompromisingly describes as a child’s ‘forgotten right’. In conversation with First Discoverers, Adrian reveals some thought-provoking observations about childcare issues, explains why working with children is a privilege, and calls for an end to the ‘institutionalisation of childhood’. “I worked as a special needs assistant, supporting a boy with mobility difficulties to take part in the mainstream education system. He was a normal little boy with a love of play and sport, and a real competitive nature. But his legs didn’t work very well and he spent a lot of time on his hands and knees. He was a great crawler! My job was to intervene as little as necessary to enable him to be part of the class, but mainly to just let him get on with it. While critical of its main recommendation, Bernard Spiegal finds many positive things to say about the recent APPG report on play. This guest blog by Andrew Ross, which he has adapted from his LGiU briefing to local authority members and officers, succinctly sets out some of the arguments for maintaining play provision in the face of pressure for further cuts. It’s not as if this ‘profound value’ is a secret. I recently wrote a briefing for local authority members of the Local Government Information Unit (LGiU), an organisation that aims to improve local democracy. 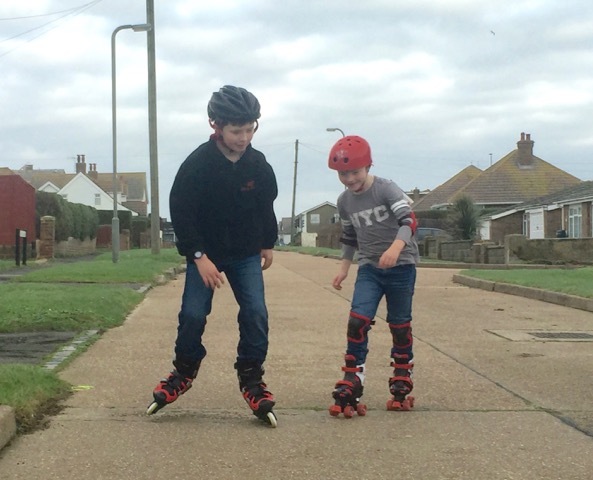 I pulled together the findings from two recent reviews that caution local councils against cutting money for play because of the many wider benefits that play services bring. The first was by the All Party Parliamentary Group (APPG) on a Fit and Healthy Childhood. Adrian Voce has written about the APPG approach, set out in its first paper, Healthy Patterns for Healthy Families; and about its forthcoming play review, expected later this summer. 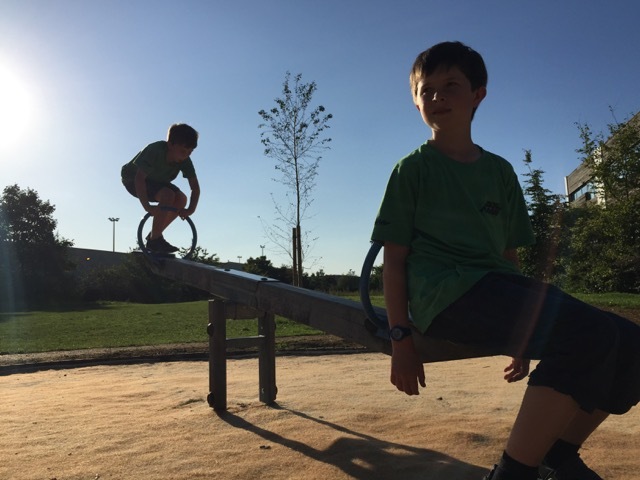 reduce inequalities: public parks are – or should be – free to use, and are places where any child can play regardless of their family’s income. It’s tempting to think that the arguments speak for themselves. But local authorities are under enormous pressure to cut budgets. For example, government figures show that council spending on open spaces (excluding national parks) fell by 14 per cent, or almost £15.5 million between 2009-10 and 2013-14. In practice, that means councils have already reduced funding on maintaining parks, adventure playgrounds, sports fields and a whole range of services that go on in them. 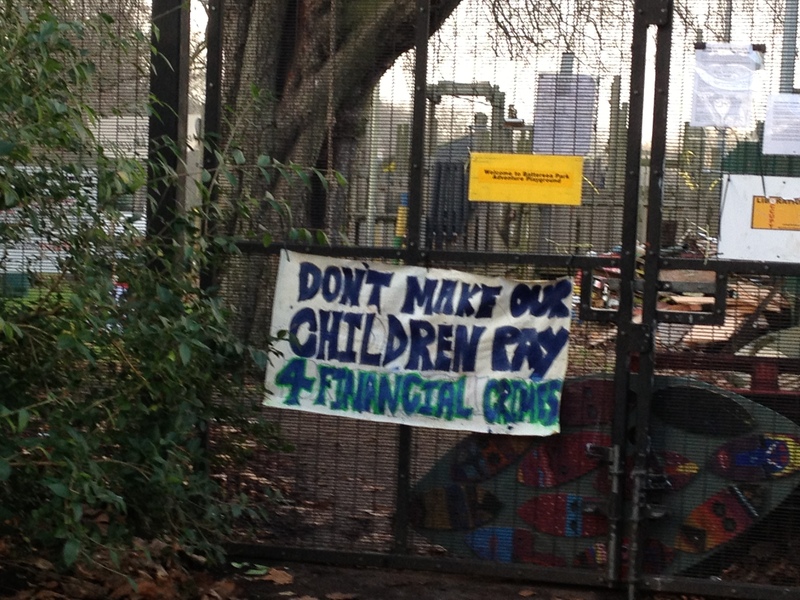 How can they be persuaded to keep spending on play? I think elected members need to be reminded constantly of how increasing the opportunities for play can help create the sorts of communities that councils are elected to deliver, even as budgets continue to decline: places that are attractive to live in, safe, connected and where everyone feels like they have a stake in the local area. Identifying alternative delivery models: these are likely to include private funding, support from the community and voluntary sectors, generating more income from uses of the green spaces, and fund-raising/sponsorship. More outdoor nurseries utilising existing quality outdoor spaces following the government’s commitment to double the free childcare allowance for three- and four-year-olds in England. I’d be really interested to know how well the local authority in your area understands how play connects to some of the wider arguments about creating decent places to live, and whether that is reflected in their spending plans! Feel free to leave me a comment below, or tweet me at @andrew_ross_uk.